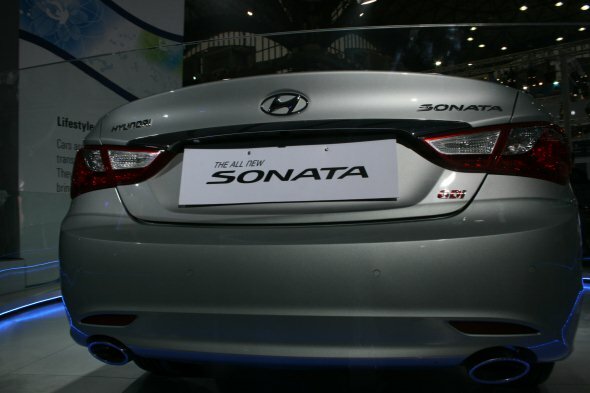 Hyundai unveiled the latest generation Sonata at the 2012 Delhi Auto Expo. 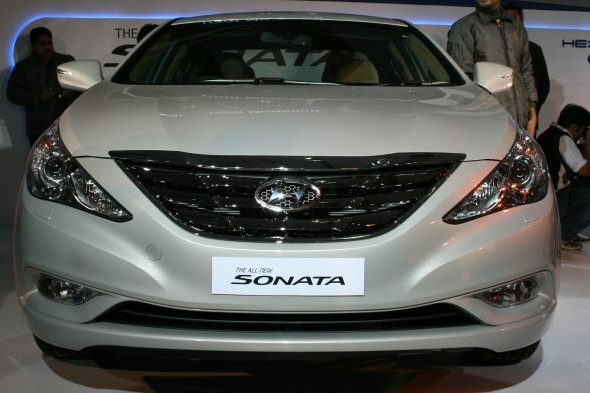 The Sonata will compete with the likes of Toyota Camry and Honda Accord in the entry-level premium luxury car segment. 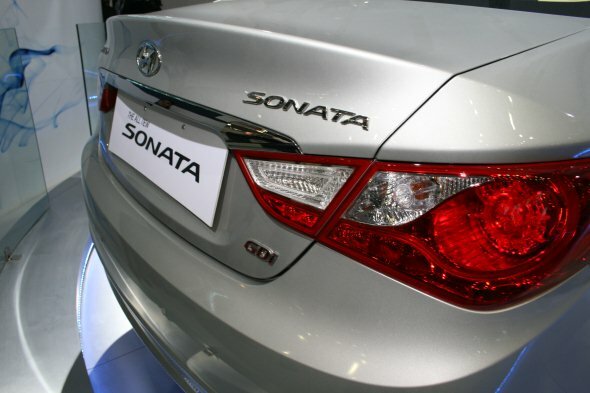 Expect the Sonata to be launched in March 2012 at a price tag of around Rs 18 lakh. The Sonata boasts Hyundai’s global ‘fluidic’ design language. It has attractive curves and angles that may likely attract buyers in its segment instantly. The chrome grille at the front, the tear drop headlamps and wide fog lamps which are smartly integrated to the front bumper, gives the Sonata a bold road presence. 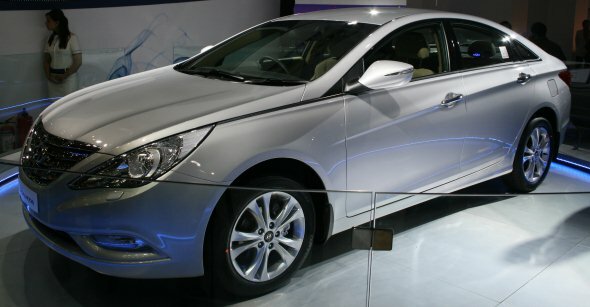 The side profile of the Sonata highlights the smooth flowing roofline that ends at the rear as it would in a coupe. 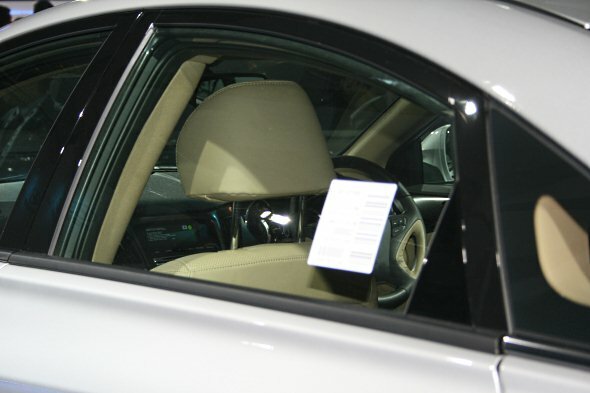 The turn indicators on the ORVM edges and mildly pronounced wheel arches gives the Sonata, a business class look. The Sonata’s rear has well sculpted taillamps that extend sideward. The chrome tipped dual exhaust and attractive curves at the rear gels well with the overall design of this luxury sedan. The Sonata will be powered by a 2.4-litre GDI petrol motor that puts out 201 PS of power. The engine will be mated to a six speed manual and automatic transmission depending on the variant.